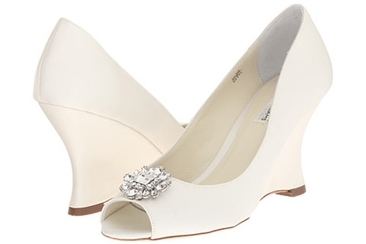 What Color Shoes to Wear with Purple Dress for Bridesmaid? A little color goes a long way in bringing out our best features; this is a fact every woman knows. While there are colors that are easy to wear, there are those like purple that require a little more attention. When it comes to shoe colors to match with purple dress, many people will settle on black. Although black is not a bad choice, there are many other colors that can give your purple dress the much needed upgrade. 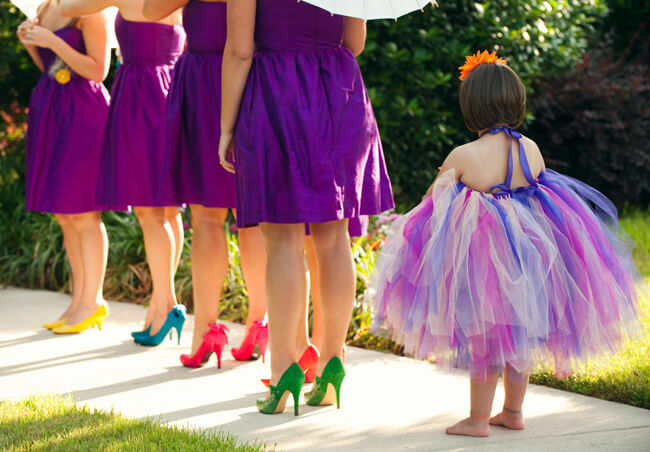 We have compiled a list of tips that can help decide on what color of shoes to wear with purple dress. Below are just some recommendations that prove to work great, but when choosing the colors, you should always take into account the skin tone of your bridesmaids and the wedding color scheme, so as not to look odd. Black is always a safe option when it comes to choosing color because it goes well with almost everything. As much as this is true, you have to be careful when matching back shoes with a purple dress. Black is best worn with a purple dress only if you are going for a more formal look. Note: What you want is a color that compliments your dress and not one that will come out as too harsh or one that can down play your overall look. So be careful that your black shoes are not chunky. Wearing golden shoes with a purple dress is all about that daring attitude. Gold can be a very flattering color if worn properly. Wearing a higher shade of this color with a purple dress can however, overwhelm your dress and make you look unappealing. What you want to do is choose a gold tone that flatters your purple dress; something that allows your dress to have the spotlight, while still complimenting your look in a daring yet gorgeous look. What color shoes to wear with purple dress? Silver is one of the best colors. 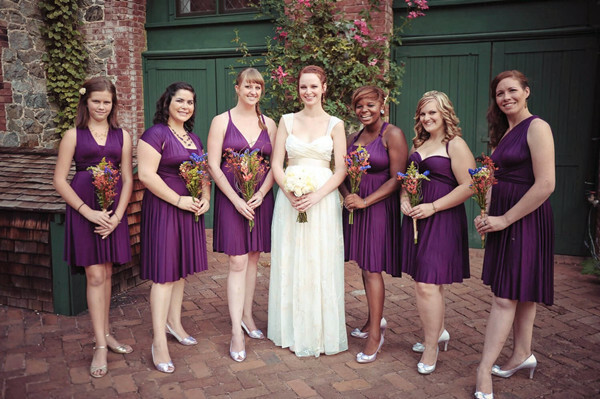 You have to choose a silver tone that does not take all the attention from your purple dress. Tone it down, and you have a perfect look for any formal or semiformal occasion. If you are looking to have a chic look, then matching your purple dress with brighter colors would do the trick. This is a playful look that brightens any look; a splash of color is always good for a happy day. Remember that the right color of shoes also depends on your skin tone. 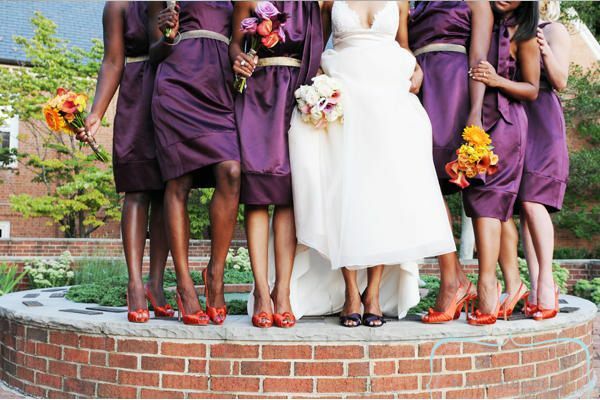 Dark orange color surely looks more beautiful on women with darker skin. Another combination that can answer your question of what color shoes to wear with purple dress is going colorful. One of the latest fashion trends is color blocking. You can opt to colorblock and make your look trendy, fashionable and chic. Go for shoe colors such as pink, orange, blue and salmon. When colorblocking ensure that both the dress and shoes don’t work against each other. Remember the rule of thumb when it comes to colorblocking: avoid having them work against each other. Nudes and Beige perfectly match with purple dresses. One of the reasons these shade of colors work so well with purple dresses, is because they perfectly compliment the dress giving it the spotlight. Here you don’t have to worry much about how bright the shade is, generally these colors work well with purple dresses. There is a rule when it comes to wearing sparkly or shiny things; don’t overdo it. This is a beautiful shoe color that can work well with purple, it is however important to tone it down or rather, choose a shade of metallic color that does not contrast with your purple. Moderation when it comes to shades of metallic shoes is the key to making your look gorgeous and sophisticated. What color shoes to wear with purple dress? 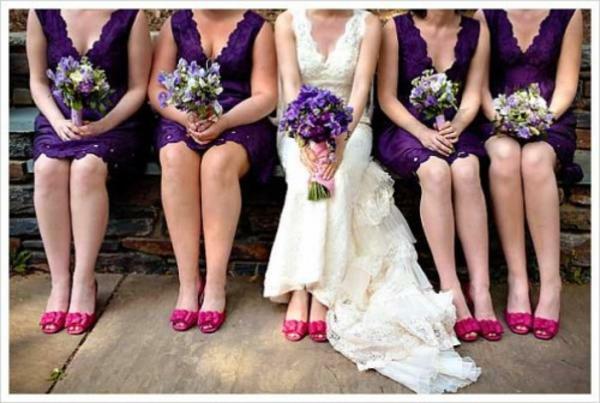 One option to ensure that your accessories do not stand out more than the dress is to match your purple dress with purple shoes. You can’t go wrong with this combination, but you have to know the kind of look you are aiming for. If you want a bit of contrast in your look, then opt for a different shade of purple shoes to match your dress; this will give the look a touch of casual feel. 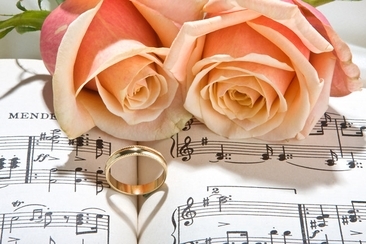 Doing your own music for wedding reception is a challenging task, but that doesn’t mean you cannot do it! 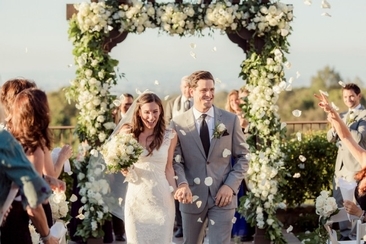 Make a great, personalized playlist that will be perfect for your big day! 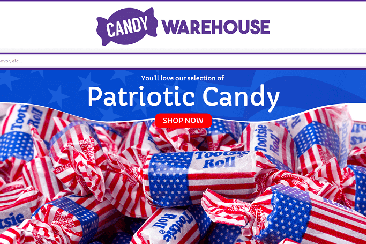 Here you will find the best place to order candy online to stock up with if you want to say thank to your guests with the perfect wedding favor which is appealing to their sweet tooth. 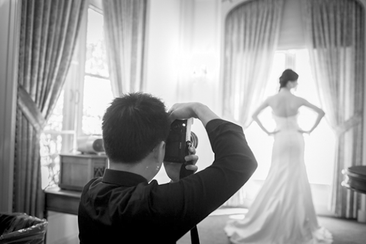 Here are more than 50 most popular wedding photos that you can copy on your wedding day. Get inspired by these amazing pictures and have a wonderful wedding album.